Foreign students are trained in the “General Medicine”; the period of study is 6 years. Languages of instruction: Russian, Ukrainian, English. Since 1996 the University has been training students in the English medium in General Medicine, and since 2008 in Stomatology. The academic groups consist of 8-10 people. Within the period of studies the students undergo academic training in main medical and dental specialties. They take part in examinations of patients, giving urgent aid, work at X-ray rooms, clinical and biochemical laboratories. Particular attention is paid to clinical rounds of patients, their management, ﬁlling in and arrangement of medical reports with their subsequent analysis. Under the Soviet Union, the University of Kharkiv was decorated the Order of the Red Banner of Labour, the Order of the October Revolution and the Order of Peoples' Friendship.According to the estimation of teaching quality, the university ranked seventh (Compass, in 2009) and fourth (Mirror Weekly, in 2007) in Ukraine. 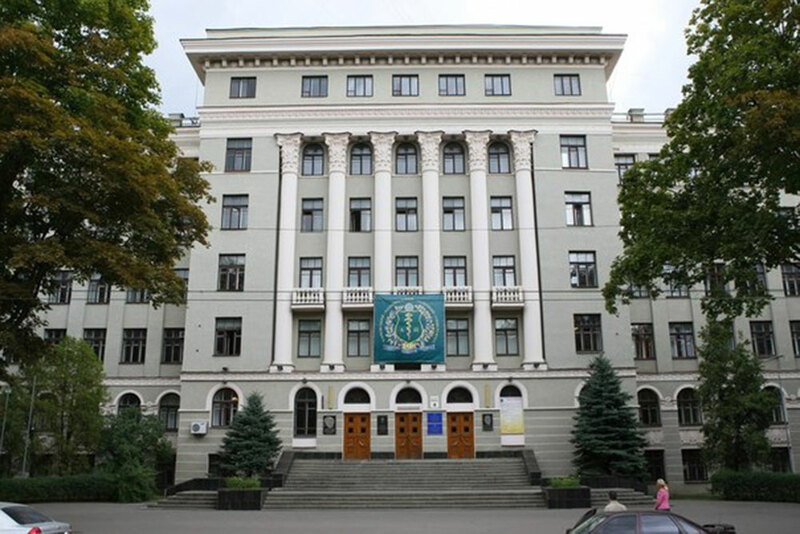 According to one of the world leading university rankings (Webometrics, in 2013), Kharkiv National University holds the fourth position among Ukrainian universities and the 1138th position in the world. In the ﬁeld of management and economics the university took the eighth place, in the ﬁeld of law - the ninth, in the ﬁeld of engineering - the tenth, in information technology – the eighth place in Ukraine according to the rating of "Compass" in 2009. 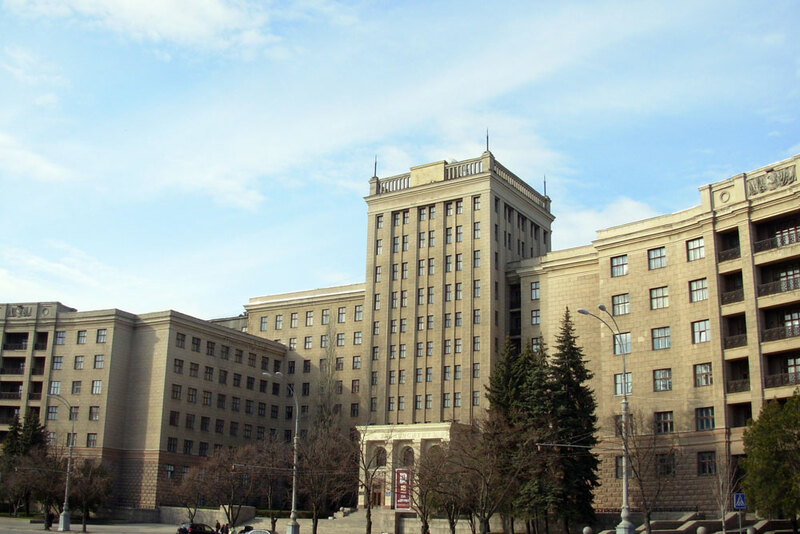 Kharkiv National University holds the second place in Ukraine in terms of volume of publications and citations in scientiﬁc database Scopus and the Hirsch index.